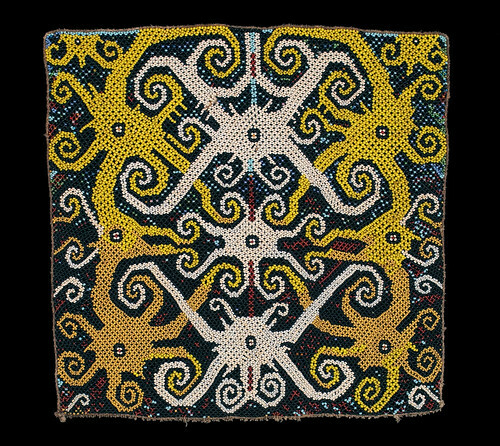 Bead panel from a baby carrier, Kayan or Kenyah people. Borneo 20th century, 27 x 27 cm. From the Teo Family collection, Kuching. Photograph by D Dunlop. These anti-symmetric quark-pairs may be due to the absorption of a photon. Or more generally, to interactions with any field quanta. The wavenumber of a particle in its ground-state is always zero.